You're going to love how small they are. If you're a single person - nothing beats the easy clean up and convenience. 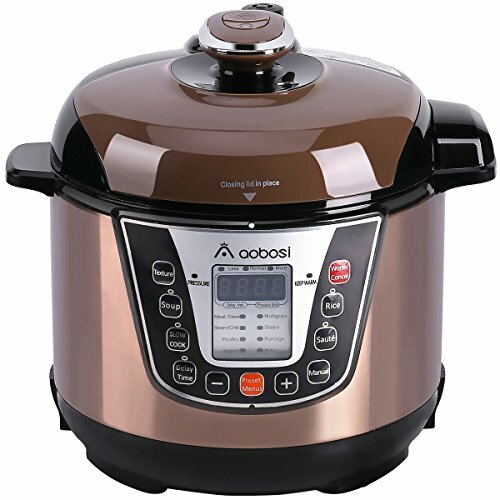 This is one of the "larger" small pressure cookers out there and is great for small families of two or three. You get all the great benefits of a full size pressure cooker, such as drastically reduced cook time and tastier food. One standout feature of this pressure cooker is the built in pressure monitor, which monitors and regulates pressure automatically. This is the miniaturized version of the insanely popular Instant Pot Duo. Unlike the Presto, it is easily programmable and has several preset programs. This one is slightly smaller than the Presto, which makes it easy to cook for one, and even easier to store. If you do not want to lose a lot of counter space, this is definitely a good pick. It is made from durable stainless steel and has several safety measures in place. This one is very similar to the Presto 01241, but instead of aluminum, it is made from stainless steel. It is slightly more expensive, but if you prefer stainless steel than it is worth the money. You still have all the same great features from the 01241 such as the helper handle, which makes it easy to open and helps prevent you from burning yourself. It is also totally dishwasher safe and easy to clean. 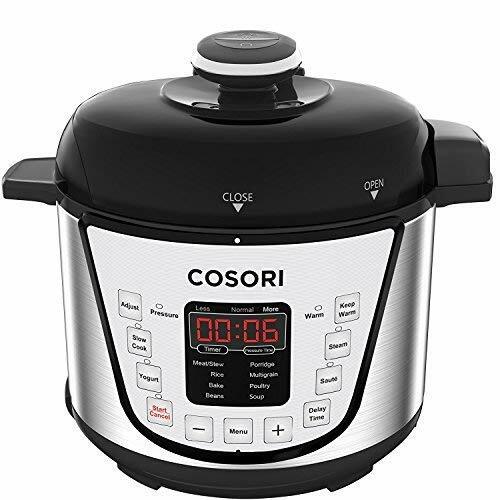 If you want the smallest possible pressure cooker, COSOR is probably the tiniest one you'll find. 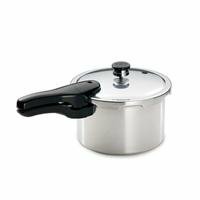 This pressure cooker is only 2 quarts and is extremely compact and easy to store. It's sleek design perfectly compliments any kitchen or counter top. 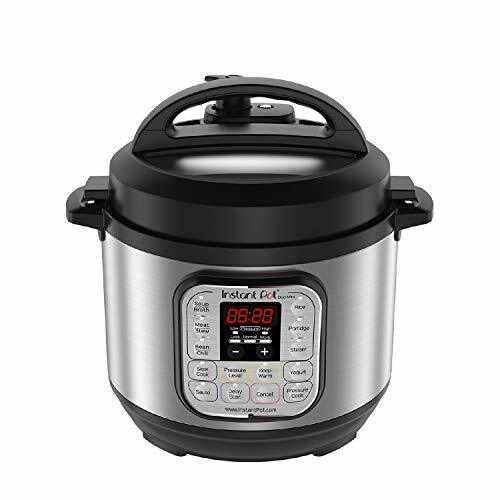 Like the Instant Pot, it is easy to program and replaces several other kitchen appliances. It takes a lot of the guesswork out of cooking and makes it a breeze to cook delectable meals. Although this pressure cooker is only 3 quarts, it gives you all the same great features of larger pressure cookers. 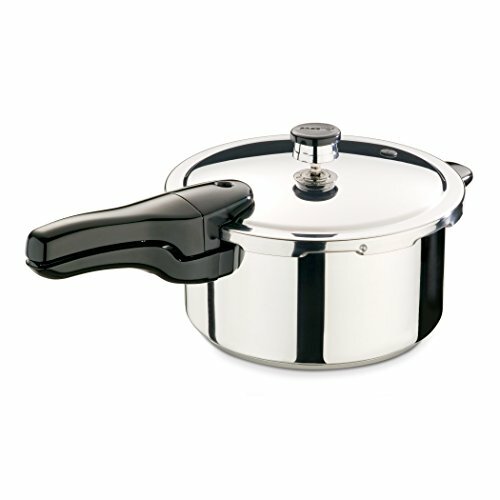 If you are looking for a really aesthetically pleasing pressure cooker, this one is probably the "prettiest" on the list. The colored, stainless steel housing adds a splash of color and personality. Just like the others, you still get amazing tasting food 3 to 10 times faster than conventional cooking methods.